The Silentnight Essentials Value Mattress is a wonderfully supportive, firm mattress at an outstanding price. 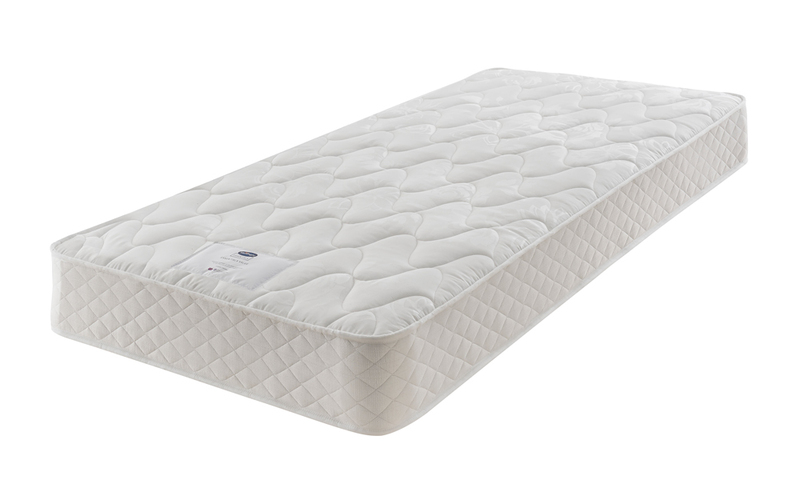 With a Miracoil sprung core and hypoallergenic polyester comfort fillings, this mattress can provide long-lasting support and comfort throughout its lifespan. Attractive quilted cover and double-sided to ensure longer use and even wear, you are sure to get value for money with this mattress. Made in the UK and covered by a five year guarantee. Order now for Free Next Day Delivery!